MXD points leader on the beginning of his professional career. Regan Duffy isn’t an unfamiliar name on the Pirelli MX Nationals circuit, having won a handful of titles in the junior support categories over the years, along with four Australian Junior Motocross Championships to his name from a fruitful amateur career. 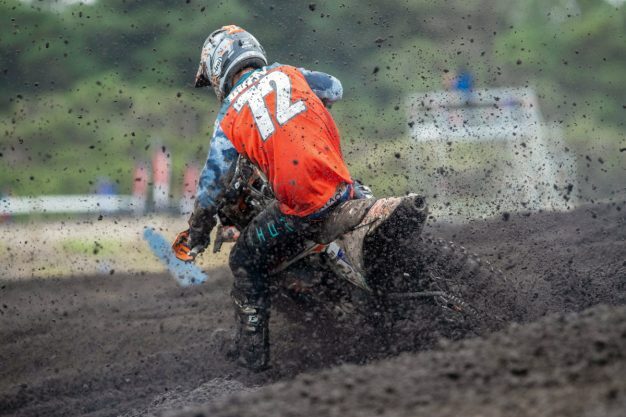 A long-time member of the KTM Junior Motocross Racing Team, Duffy has always been tipped to be one of the next emerging talents that takes the industry by storm, and this year, he embarks on his rookie MXD campaign in the MX Nationals with the Raceline KTM Thor outfit. 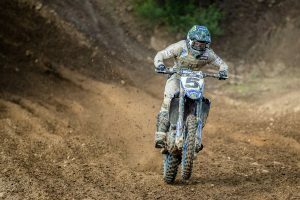 The transition to professional racing has far been smooth sailing with two rounds already under his belt in the current series, which he attributes to the welcoming nature of the factory-supported Raceline operation. Making his MXD debut at Appin’s opener, the Western Australian talent, who’s just 16 years of age, stormed to the front of the field, instantly making his mark on the category, however things unravelled in the horrendously muddy conditions, which saw him demoted to seventh position in the sole moto that was eventually run. 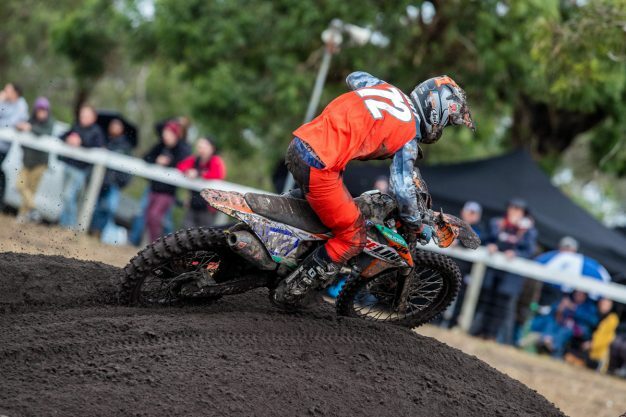 It only fuelled Duffy’s fire for Wonthaggi’s second stop in Victoria, where put on a commanding display as he dominated both motos, securing his maiden overall victory while establishing himself as a favourite for the development class crown. 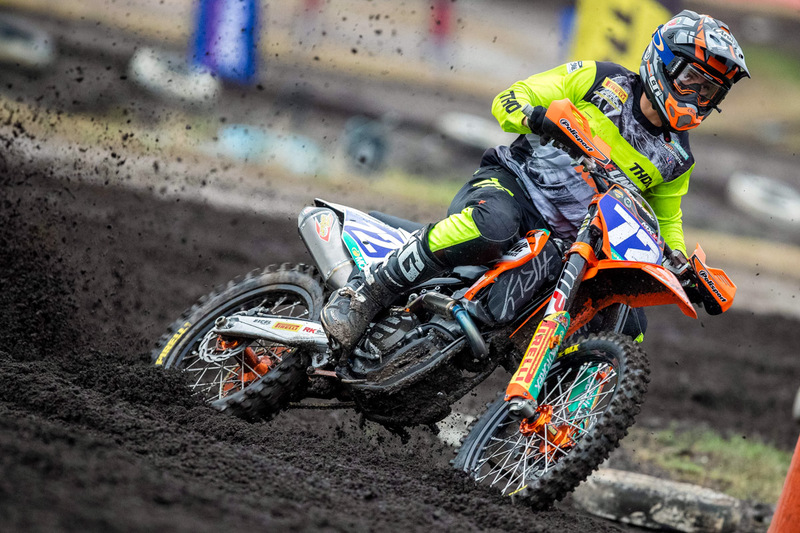 With the points lead now in hand and the red-plate set to grace his KTM 250 SX-F this weekend at Broadford’s third round, the number 72 speaks with maturity beyond his years when discussing what this means in just the infant stages of the 10-round, eight-stop championship. 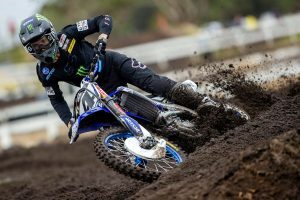 It’s probably thanks to people in his corner, such as former MX Nationals contender and now riding coach to many of the country’s best, Ross Beaton. Duffy admits Beaton has played an instrumental role in his development, who will no doubt serve as a valuable resource in his pursuit for the highly-desired number one plate. “You definitely can’t relax when you have the red-plate, it’s pretty heavy. You can’t change your program I don’t think – a round win means nothing. I have to back it up for eight more rounds. Ross is a real big factor my development as a rider, he’s helped me out a lot of with technique and training. While the MXD crown is the immediate goal for 2019, Duffy has already established a plan for the foreseeable future, with Europe being the ultimate target in 2021 following a stint in MX2 domestically next year. 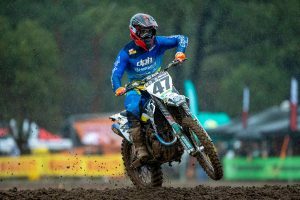 Duffy holds a four-point advantage over Rhys Budd (Penrite Pirelli CRF Honda Racing) as the Pirelli MX Nationals returns to action this weekend at Broadford in Victoria.